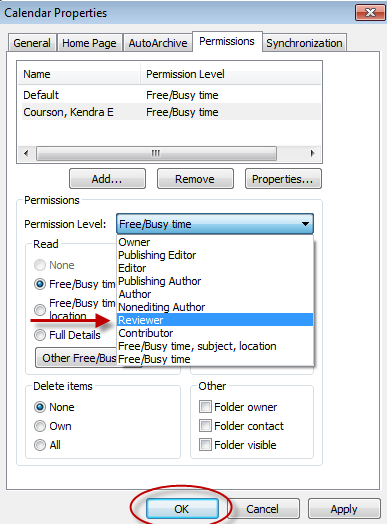 When you want to share more than just Free/Busy info with someone else on campus, follow these steps to grant them permission to your Outlook calendar. This applies to Outlook 2010, 2013, and 2016. 1. 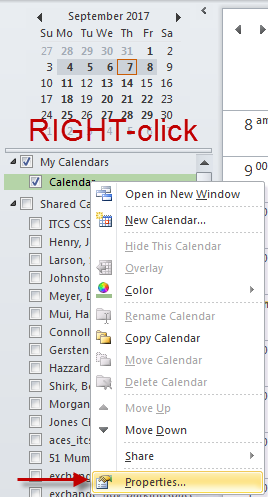 In Outlook -> Calendar, RIGHT-click your calendar and choose "Properties"
4. 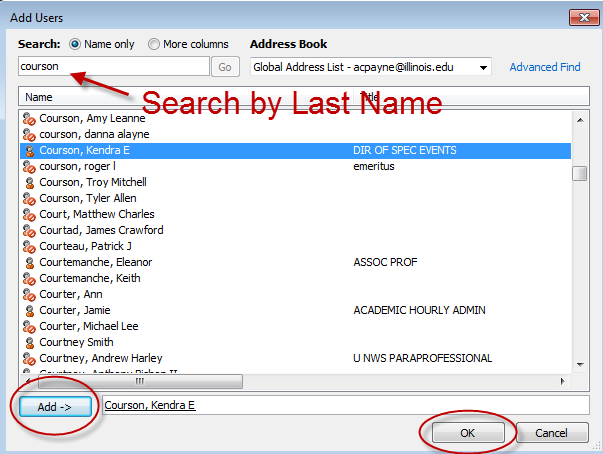 Search for the person by last name, select them from the list, click the "Add" button (lower-left), and click "OK"
5. 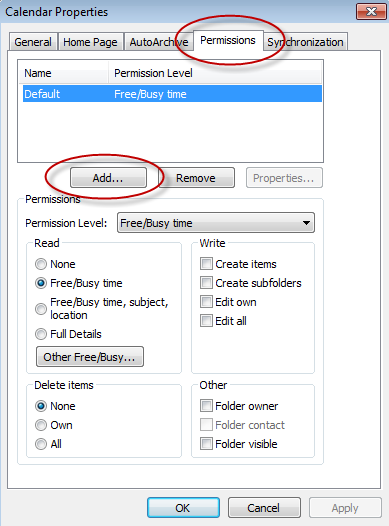 In the drop-down menu, set their permission level. For example, to share full details of your items, but to disallow editing, choose "Reviewer." 6. Click "OK" when finished. Now the person you shared your calendar with can open it by following the steps in this article: "Opening a shared Outlook calendar"